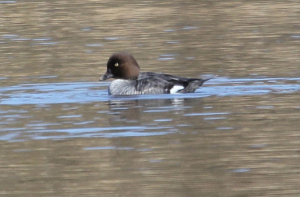 Observation - common goldeneye - UK and Ireland. Description: Haven't a clue. Distinctive feature was white patches on upper wings in flight. Haven't a clue. Distinctive feature was white patches on upper wings in flight.